MSOT has revolutionized biomedical imaging because it allows anatomical, functional, and molecular imaging of deep tissues in vivo in an entirely noninvasive, label-free, and real-time manner. This imaging modality works by pulsing light onto tissue, triggering the production of acoustic waves, which can be collected and reconstructed to provide high-resolution images of features as deep as several centimeters below the body surface. Advances in hardware and software continue to bring MSOT closer to clinical translation. 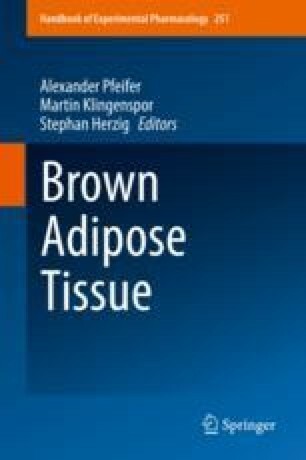 Most recently, a clinical handheld MSOT system has been used to image brown fat tissue (BAT) and its metabolic activity by directly resolving the spectral signatures of hemoglobin and lipids. This opens up new possibilities for studying BAT physiology and its role in metabolic disease without the need to inject animals or humans with contrast agents. In this chapter, we overview how MSOT works and how it has been implemented in preclinical and clinical contexts. We focus on our recent work using MSOT to image BAT in resting and activated states both in mice and humans. Angelos Karlas and Josefine Reber contributed equally to this work.